Would you like to know what my top 10 favorite things about Christmas time are? A special thanks goes out to Cindy for sponsoring Cartwheels and allowing us to share with our viewers your products! :) YOU ROCK! If your wondering what gift to give this holiday season you should definitely check out her etsy shop! Good morning everyone! I am so excited to share with you my newest "scrapbooking" article *and* also one of Etsy's best mini journal creators like EVER: Cindy Ruijgrok. (If you have a scrapbooker on your Christmas list this year, this would be the perfect gift...there are so many little surprises inside each of Cindy's albums that they can't all be shared in a few photos in her shop!) Cindy generously donated some of her super cool journals to our design team and I was lucky enough to get one! Mini books have always been one of my favorite things to make so when I got it I decided to do a "14 Things everyone should know about me" theme. 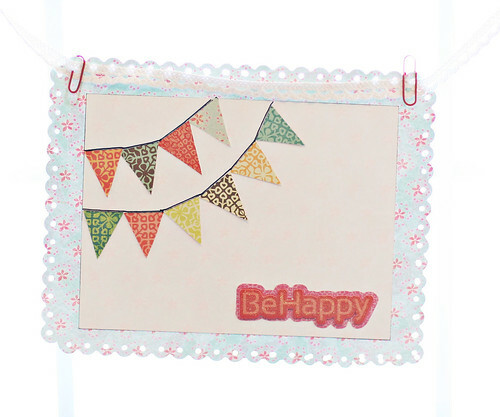 There are 14 pages (hence the 14 things) of beautiful patterned paper in a huge variety of colors. Click on photos to see larger. This journal was SO fun, super easy, and now I have a cute place to document things about me! Thank you, Cindy for sharing your amazing product with us! I can't wait to see how some of the other Cartwheel girls used their journals! P.S. About that Christmas list with the scrapbooker on it (it's ok if that scrapbooker is you, we won't tell! :D)...Cindy is giving away one of these journals, so if you are interested in winning one, be sure to leave a comment on her give-away post here. Revlie is one of the craftiest person I know. It always amazes me how she finds the time to create all that she does. She has such a wonderful personality, sense of humor and a no-nonsense attitude. She has a heart of gold and a wonderful friend. On top of being a mom/wife, artist and full-time business owner, Revlie finds time to create lushes mini albums and tutorials, that you can find in her etsy shop, REVolution. They are filled with loads of techinques, textures & ideas you will love. 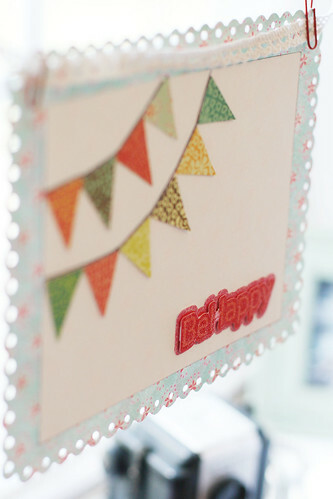 When you go to her blog, Life Is Good, you will be amazingly inspired by her crafty goodness. I always look foward to seeing what she has up her sleeves next! She is quite the innovator!! live with hub Arjan and our 2 muppets: Sanne (7, girl) and Ruben (3, boy). I write online tutorials for mini albums and sell those tutorials and sometimes kits to go with it on Etsy. You can, of course, design the mini you like, but if you need a little get-go you can use my step-by-step instructions. I’m working on tutorials for crochet and sew projects also. What made you decide to open an art business? I heard a lot of friends and scrapbook friends say they loved my mini albums but did not know how to make them themselves. So I thought, step-by-step instructions with LOADS of pictures was what we missed. If you are a beginner you can easily create the mini albums, and if you are a pro already you can simply skip some steps you know how to do already. Also, if you just need some inspiration it’s perfect to use my tutorials and give them your own twist. Love that! mmm. I guess since my childhood, but since my kids were born (Sanne in 2003) I’m more into it ‘professionally”. What kind of music do you enjoy listening to while you create? All sorts of. Jason Mraz (spell that ok?) is my favorite. And Amy McDonald, of course the Black Eyed Peas, and some Dutch Artists (Alain Clark, Ilse DeLange, Jan Smit, Nick&Simon). What and/or who are your influences? Where do you see yourself & your business in the next 5 years? mmmm, I like to take smaller steps, but I’m sure in 5 years I’ll be running my creative business fulltime and can be there for the kids when they are not in school. So for them, I’ll be a stay at home mommy, I would love to only work during school hours. Any tips and tricks to other artists/business owners? Just GO for it. If you love what you do, success WILL come. I know I can reach my goals if I set my mind to it. Proof for me is my company Artifex Support I run now. 10 years ago I simply quit my well payed job and started it from home. People told me I was CRAZY. Insane! I wouldn’t make it. Of course, I proved them wrong. ha. Don’t let other people hold you down from YOUR dreams and plans. During the day I’ve got a lot of ideas I jot down in my idea book or any paper that’s nearby. In the evening, when the kids are asleep, I go to my creative room (scrap, sew, crochet) and start making what I had in mind, or go on with what I was already creating. It’s like I’ve got so many ideas, my head would explode if I don’t write them down. There’s just too little time to make them all. Advice you would like to share for someone looking into starting their own art business? Stick to your own ideas and plans. Don’t let other people give their opinion on your work. Believe in yourself. Don’t be shy. You need to be a little outgoing and straight forward to reach your goals. Advertise, advertise, advertise!! Get your name out there. 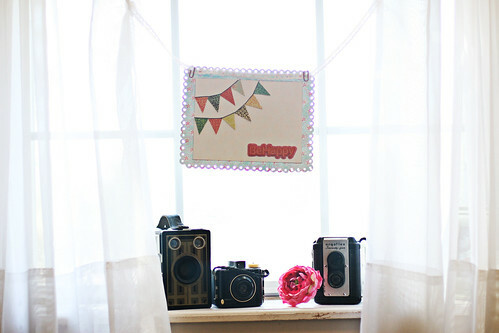 You can place banners on blog(s) that doesn’t have to be expensive. Try to get an interview with crafting magazines or other magazines. In Holland, it works like: you send something you sell to the editors of the magazine trying to get them to publish it. Keep positive. It takes time to set up & run a business. Can you cartwheel? If so, we'd love to see a photo! When you're looking for inspiration be sure to check out Revlie's blog, Life Is Good. You can also find more of her artwork at on a regular basis at these fun scrapbook inspiration & challenge blogs...One Little Word & Color Conspiracy. Thanks so much Revlie for sharing your creative world with us and wishing you tons of success! Good afternoon everyone. I'm here to share a layout I created with the SEI goodies that the company graciously sent over. I love that there's so many papers in their collection that have a large print. Perfect for cutting out. That was my jumping off point. I cut out the leaf bunch from the one paper and layered it over my photo just a bit and paired it with some crepe paper garland that I cut down. I also used one of the Maya Road leaf pins to bring out the turquoise in my planner. Did you see what Cindy did with those pins? So lovely! We all need a little reminder here and there to simply be happy. So I used the SEI Jocelyn line to create a happy little art piece to hang in my room. What can you create to bring a little HAPPY to your life this weekend? Like most little ones, my little girl is forever drawing or doodling and coloring on any sheet of paper she can get her hands on. A lot of times when we are out running errands and she gets tired of reading a book, she wants to doodle or draw pictures. But I never seem to have any paper for her, unless it's a recipte. So, I decided to create little journals for her that I can carry around in my handbag or in the car. I let her pick out her favorite pattern papers from SEI's Jocelyn collection and cut them down to size. Attached drawing paper we picked up from the Dollar store, using staples. She loves them and loves the little pencil I put with it from Ikea. Will have to make her a bunch more to keep around the house for a rainy day. Thanks so much SEI for your generousity, it's greatly appreciated!